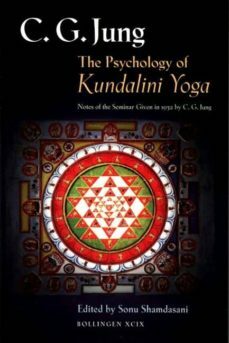 "Kundalini yoga presented Jung with a model of something that was almost completely lacking in Western psychology--an account of the development phases of higher consciousness.... Jungs insistence on the psychogenic and symbolic significance of such states is even more timely now than then. As R. D. Laing stated... It was Jung who broke the ground here, but few followed him." --From the introduction by Sonu ShamdasaniJungs seminar on Kundalini yoga, presented to the Psychological Club in Zurich in 1932, has been widely regarded as a milestone in the psychological understanding of Eastern thought and of the symbolic transformations of inner experience. Kundalini yoga presented Jung with a model for the developmental phases of higher consciousness, and he interpreted its symbols in terms of the process of individuation. With sensitivity toward a new generations interest in alternative religions and psychological exploration, Sonu Shamdasani has brought together the lectures and discussions from this seminar. In this volume, he re-creates for todays reader the fascination with which many intellectuals of prewar Europe regarded Eastern spirituality as they discovered more and more of its resources, from yoga to tantric texts. Reconstructing this seminar through new documentation, Shamdasani explains, in his introduction, why Jung thought that the comprehension of Eastern thought was essential if Western psychology was to develop. He goes on to orient todays audience toward an appreciation of some of the questions that stirred the minds of Jung and his seminar group: What is the relation between Eastern schools of liberation and Western psychotherapy? What connection is there between esoteric religious traditions and spontaneous individual experience? What light do the symbols of Kundalini yoga shed on conditions diagnosed as psychotic? Not only were these questions important to analysts in the 1930s but, as Shamdasani stresses, they continue to have psychological relevance for readers on the threshold of the twenty-first century. This volume also offers newly translated material from Jungs German language seminars, a seminar by the indologist Wilhelm Hauer presented in conjunction with that of Jung, illustrations of the cakras, and Sir John Woodroffes classic translation of the tantric text, the Sat-cakra Nirupana.